Enhance your experience with a FanVision Unit or Racing Electronics Scanner. ITS POPULAR. 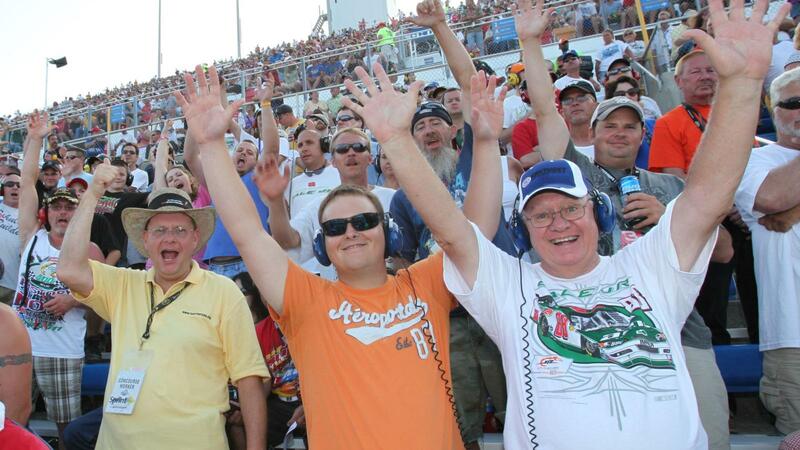 Every season more than 100,000 NASCAR fans rent a FanVision to keep pace with their favorite drivers. They get to listen in on live team communications, watch in-car camera feeds, replays, and check continuously updating leaderboards. Fans who love NASCAR need FanVision. ITS SIMPLE. Most FanVision customers use a Controller only once or twice a year, so we made the interface very first-time user friendly, provided all-day battery life, and focused on features that deliver maximum value with minimum learning curve. Want something more simple? Try a Racing Electronic Scanner. Racing Electronics is the Worldwide leader in communication systems for the racing industry. RE provides fans the ability to listen to their favorite race team's communications.